Spanish developers Nomada Studio and publisher Devolver Digital will be launching Gris, to the Nintendo Switch and PC this December. The 2D platformer is set in a dream-like world filled with crumbling statues, towering temples and inky, shape-shifting birds. The titular heroine, a hopeful young girl, dashes and floats through the world with mesmerizing grace, her dress and blue hair blowing softly in the wind. Everything feels surreal and otherworldly, painted in watercolor shades of pink, blue, red and green. It's totally unique. The graphics are what catch the eye the first, but the game’s approach to gameplay will slowly raise some eyebrows too- the mechanics here are in service to the themes the game wants to explore, and it seems deliberately introspective and calm, not wanting to stress you out as you meditate on its message. The game lacks a HUD, health, or even death. In a lot of ways, it is influenced by other similar games that used interactivity to explore a theme that have released in the last few years. 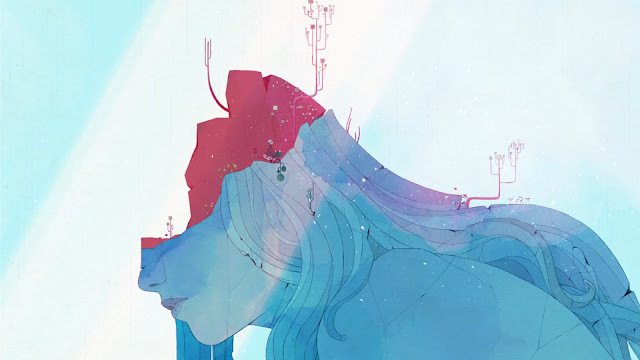 If Gris has caught your attention, it launches on PC and Nintendo Switch this December. You can watch some gameplay for yourself below.